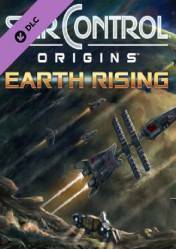 Attention: Star Control: Origins Earth Rising Season Pass is a game in digital key or Steam cd key format (although it may also be available in other versions such as Steam Gift), depending on which online store you buy. Depending on the format must be activated one way or another. Remember also that they may have regional blocking, so pay attention to this information. Earth Rising is a 4-part season pass containing new missions, ships, rewards and a whole new story, focusing on the species humanity and its eagerness to establish itself as a great galactic power. We will explore new stars, mysteries and we will be able to create diplomatic relations with the rest of races. Don't forget that Season Passes and DLCs or game expansions require the original game installed and must be purchased separately. Steam Key Activation Method: This product is a digital version or cd key, which means that you simply need to access your Steam account and enter the cd key, or key, that you will receive by email in "Assign New Product" located in your "Library" at the bottom left. The process is very simple and safe, and in just a few steps, you'll be able to access your Steam game library to play Star Control: Origins Earth Rising Season Pass without any limits. There are no comments yet about Star Control: Origins Earth Rising Season Pass. You can be the first one!